1 Bed 1 Bath 774 Sq. ft.
Walkability! 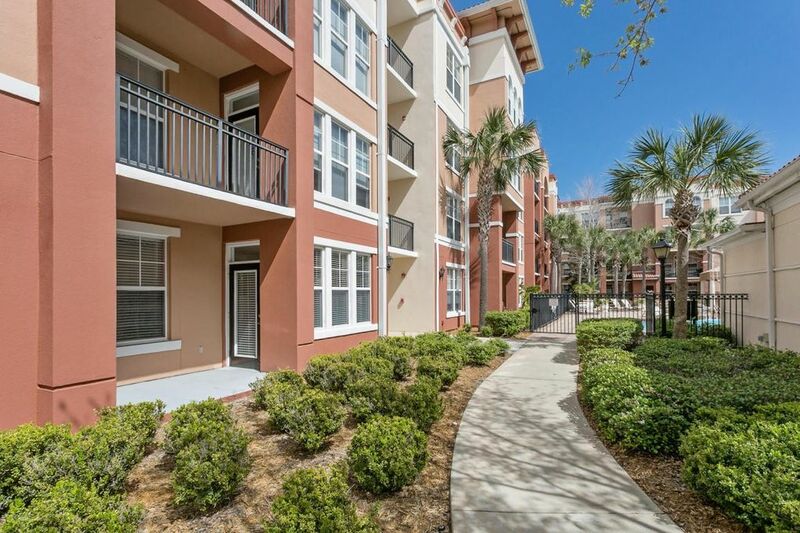 Perfect for the mobile lifestyle...Great central location at St Johns Town Center and great location within the Esplanade community - First floor near clubhouse and pool. Covered garage parking space is close to unit and right by entrance for easy access in and out. Remodeled unit with newer appliances, granite kitchen - thermostatically controlled dehumidifier - low maintenance! Walk to restaurants and stores, close to interstate and all of the new shopping options - hop downtown or to the airport in no time! Well maintained complex offers full time management on site. Large pool with lots of seating areas- well equipped gym, party room - Investor ownership is capped so owner occupied only at this time. See documents for complex layout - this is a ''12'' unit. Directions: From Butler Blvd, Take Exit For North Gate Pkwy, Turn Right On Town Center Pkwy, Then Right On Midtown Pkwy Right Past Panera, Go Past Maggiano's To Esplanade Roundabout. 1 beds 1 Bath 774 Sq. ft.